You can be involved without leaving your home! 3. RARE CONNECT: Eurordis is an "Initiative Connecting Rare Disease Patients Globally". All sufferers around the world are welcome to join Trimethylaminuria Community of RareConnect. Some moderators of this site are MEBO Directors. 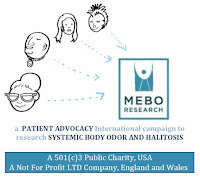 Orphanet has a link to the UK Medical Research Council funded (£358,000 GBP, equivalent to 422K/Euros or 552K/USD) research project performed by Dr. Elizabeth Shephard for a "Therapy for the body and Breath malodour disorder Trimethylaminuria (TMAU). 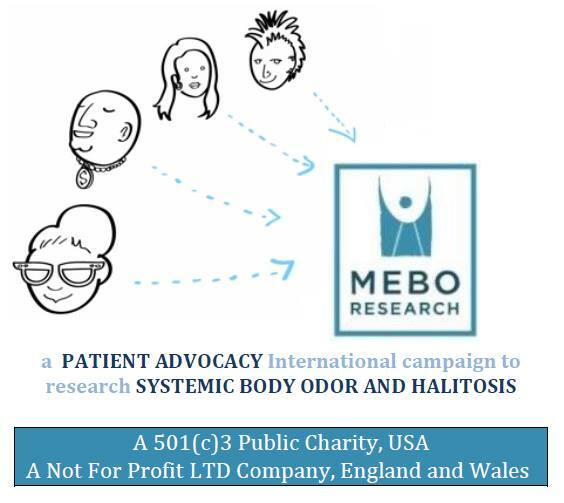 If MEBO directors in the US and the UK have been able to accomplish all this and more in only 8 years, imagine how much we could accomplish if more sufferers participated on the Rare Disease Day projects and events. 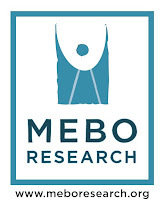 In addition to providing sufferers with the opportunity to do the MEBO TMAU Urine Test, MEBO has also supported research projects, such as the pre-clinical drug development for TMAU performed by Dr. Elizabeth Shephard as indicated in the Research Councils UK website, noting that, "Patient group MEBO [will have access] to the benefits of this research. (Click on the "Outcome" tab).